Bulgaria supports the idea for Germany to have a leading role in Europe and for a harder line for tightening belts on the Old Continent. The statement was made by the new Bulgarian President, Rosen Plevneliev, in an interview for "Financial Times Deutschland." 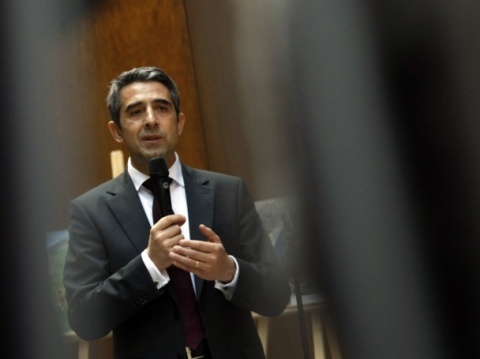 Plevneliev voices firm conviction that Germany' policies will lead to a stronger Europe. He stresses that the views of German Chancellor, Angela Merkel, for fiscal stability must become top priority in Europe all while austerity measures should not hurdle economic growth, meaning public resources must be used for investing. "The future generation should also be able to finance its priorities. Merkel can count on EU Member States in Eastern Europe. In Southern Europe many politicians and citizens think that austerity measures are too difficult," Plevneliev stresses, pointing out that Germany always had a commitment to European unity. The President explains that Bulgaria could be an example for debt-ridden neighboring Greece. "10 years ago Bulgaria's total debt was 100% from the Gross Domestic Product, now it is 16% while Greece went from 100% to 170%. We privatized many things "dramatically" quickly. We had 100 000 people laid off in the construction sector and another 15 000 in the public sector" he says.